The latest Pirates of the Caribbean film appears to be a soft reboot as it introduces Captain Jack Sparrow to a few new allies with some legacy ties. Johnny Depp returns as the drunken captain in Pirates of the Caribbean: Dead Men Tell No Tales, alongside Geoffrey Rush as Captain Barbosa and Orlando Bloom as Will Turner. Newcomers Kaya Scodelario and Javier Bardem play Carina Smyth and Captain Salazar, respectively. But one of the major additions was recently revealed to have a familial tie to one of the original main characters, as Brenton Thwaites’ character Henry is now known as the son of Bloom’s Turner and his wife, Keira Knightley’s Elizabeth Swann. So, where is Elizabeth Swann? 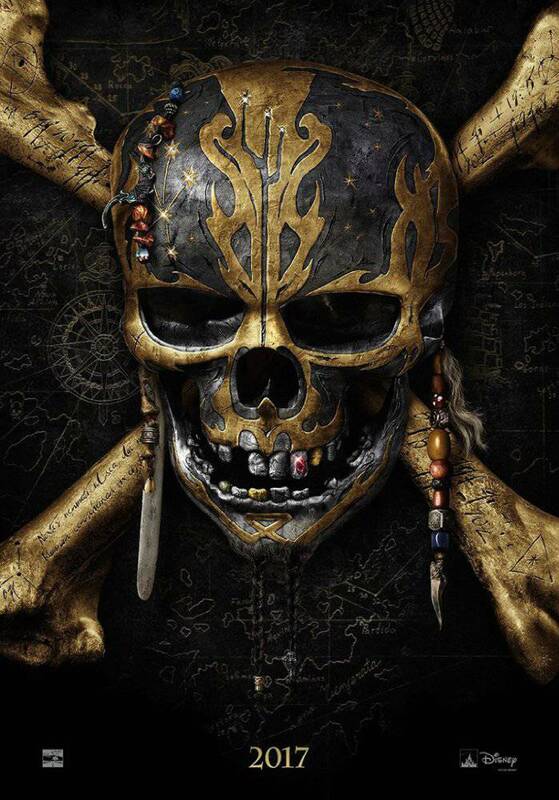 After being rumored to appear in the movie but not appearing anywhere in the listed credits thus far, some fans have speculated if the character would even be featured in Dead Men Tell No Tales. Well, the latest international trailer has your answer if you don’t mind being spoiled. It’s a blink-and-you’ll-miss-it shot that almost seems to mimic the end of the third film in the franchise, At World’s End, set ten years after the event of the film. In that movie, Will Turner assumes the duties as captain of the Flying Dutchman, ferrying souls to the afterlife. As a part of his curse, Turner can only come on land for one day every ten years, and that ending scene features Swann as she eagerly awaits his arrival. Are you excited for the fifth film in the movie franchise based on a ride at Disneyland!? Let us know with your vote in the Anticipation Rankings below! Is This The End Of The Caribbean? Johnny Depp returns to the big screen as the iconic, swashbuckling anti-hero Jack Sparrow in the all-new Pirates of the Caribbean: Dead Men Tell No Tales. The rip-roaring adventure finds down-on-his-luck Captain Jack feeling the winds of ill-fortune blowing strongly his way when deadly ghost sailors, led by the terrifying Captain Salazer (Javier Bardem), escape from the Devil’s Triangle bent on killing every pirate at sea – notably Jack. Jack’s only hope of survival lies in the legendary Trident of Poseidon, but to find it he must forge an uneasy alliance with Carina Smyth (Kaya Scodelario), a brilliant and beautiful astronomer, and Henry (Brenton Thwaites), a headstrong young sailor in the Royal Navy. At the helm of the Dying Gull, his pitifully small and shabby ship, Captain Jack seeks not only to reverse his recent spate of ill fortune, but to save his very life from the most formidable and malicious foe he has never faced. Pirates of the Caribbean: Dead Men Tell No Tales is directed by Joachim Ronning and Espen Sandberg, and stars Johnn Depp, Javier Bardem, Orlando Bloom, Geoffrey Rush, Kaya Scodelario, David Wenham, Brenton Thwaites, Golshifteh Farahani, Stephen Graham, Goran D. Kleut, Kevin McNally, Jessica Green, Martin Klebba, and Nico Cortez.